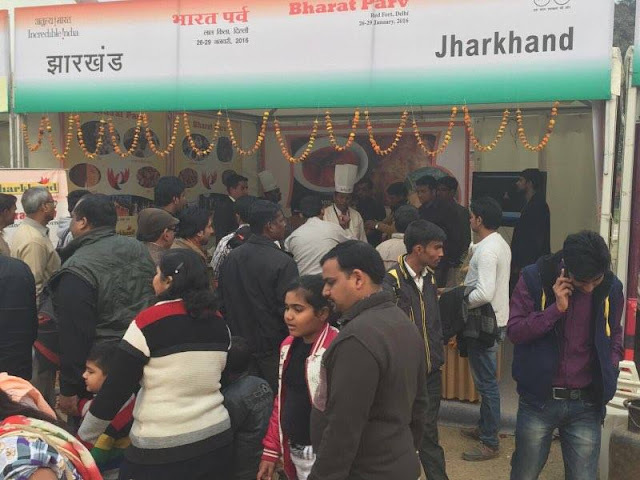 The Tourism, Art & Culture, Sports and Youth affairs department of Government Jharkhand has set forth an attractive agenda for the state pavilion where the state’s popular food items, its ethnic dance forms, and indigenous arts and crafts are being showcased widely from 26th-29th January. According to Ms Suchitra Sinha, Director of Jharkhand Tourism, the department is focusing strongly on promoting tourism to the state which has several tourist attractions, scenic waterfalls, beautiful forests and a rich history. According to Ms Sinha, Jharkhand Chief Minister Raghubar Das is taking taken personal interest in activities to promote tourism in the state. 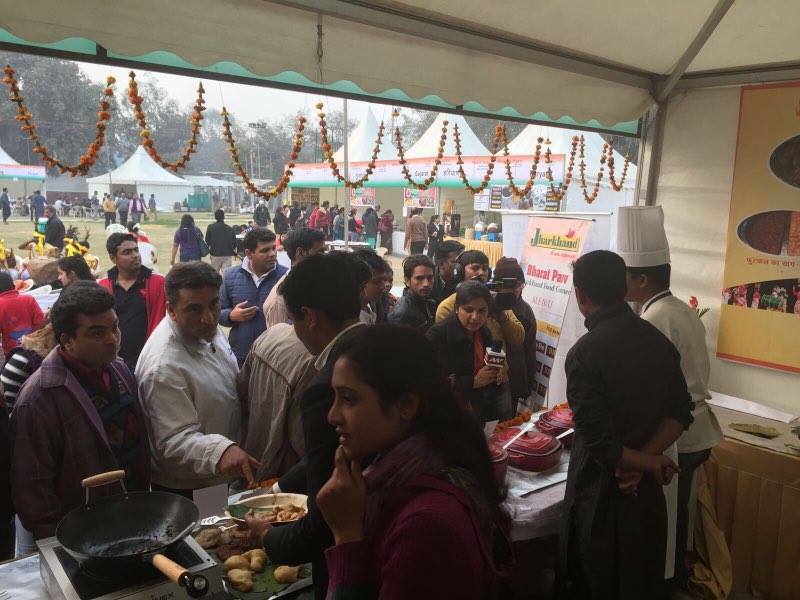 Among the irresistible attractions at the state pavilion there were mouth-watering delicacies of Dhooska meat, Mutton-Jhor, Murgi Jhor, Rehu Jhor for non-vegetarian foodies to vegetarian delights like Peetha, Usna Chawal, Kurthi Dal, Chilka, Kachari, Footkal Saag, Kacchu Masala, Maduwa Roti as well as Dhooska- Barra. 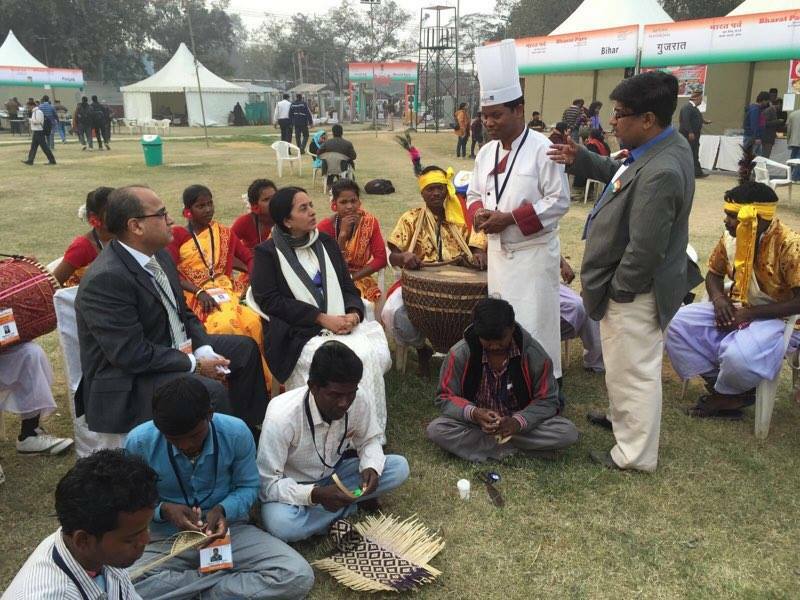 The participants included dancers who were promoting the indigenous dance form Chou and artisans who have preserved the age-old traditional arts and craft forms of tribal areas. Seeing all this leaves with a feeling of amazement that how beautifully diverse and culturally rick our country is.